Would you like to spend an unforgettable week in France but feel that a language course would not be enough? 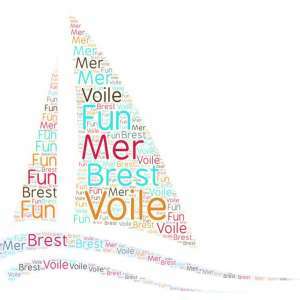 Because we know that learning is easier when we enjoy what we're doing, the Ciel Bretagne offers a language & activity package : French with watersports. Our courses with activities are the ideal opportunity for you to immerse yourself in a region with exceptional cultural, historical and maritime heritage! Integrate an international class in the morning to improve your level of French in a warm, friendly atmosphere. Then, in the afternoon, practice your French with native speakers through exciting and interesting activities which will make your stay unique. 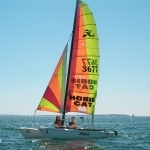 "French & sailing": for sailing enthusiasts or anyone who would like to try watersports in the safety of a beautiful, protected stretch of water! 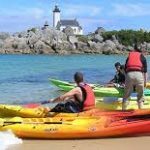 Situated on the Atlantic coast and bordered by a protected body of water (the rade), Brest offers a safe area ideal for beginners or enthusiasts of watersports. 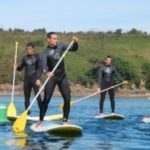 Make the most of your afternoons to learn or perfect your chosen watersport like world championship and olympic medalists, Camille LECOINTRE, Faustine MERRET et Marie RIOU. Choice of supports: catamaran, laser (dinghy), standup-paddle, windsurf, sea kayak.